It’s back to school time already. Locally kids went back to public school this past Monday. In 2 weeks we will be empty nesters so we don’t have to deal with the school year craziness anymore but I remember it well. We homeschooled our 2 boys and I worked in our church office, taught private music lessons, ran a homeschool musical theater group and volunteered in multiple capacities at church. Phew, I get tired just thinking of those days. One thing I was always on the lookout for were easy, flavorful dinners that my family would enjoy. Recently I came upon a recipe on the Pillsbury website, tweaked it just a bit and now it is a family favorite. 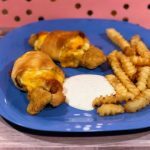 Chicken Bacon Ranch Crescent Roll-Ups make an easy lunch or dinner and they re-heat well so you can serve the leftovers too. 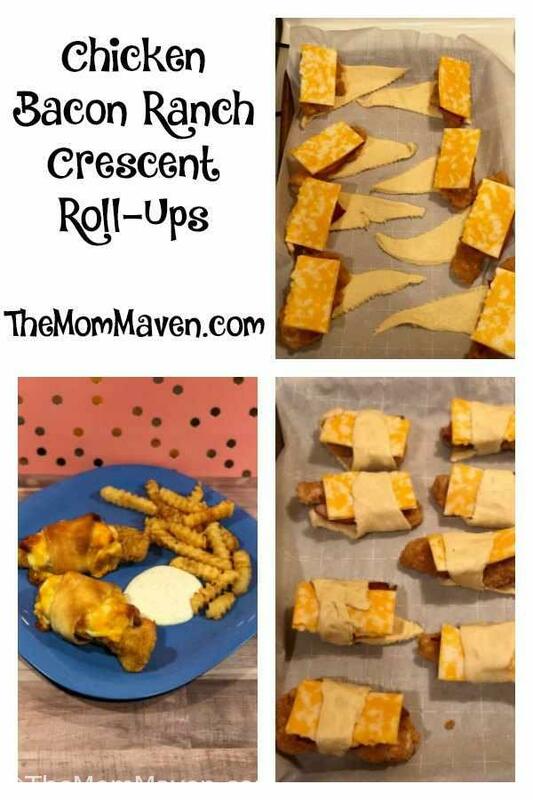 Prefect for busy weeknights, Chicken Bacon Ranch Crescent Roll-Ups make an easy lunch or dinner and they re-heat well so you can serve the leftovers too. Heat oven to 375°. Line a large cookie sheet with parchment paper. Place 1 chicken strip on the wide end of each triangle. 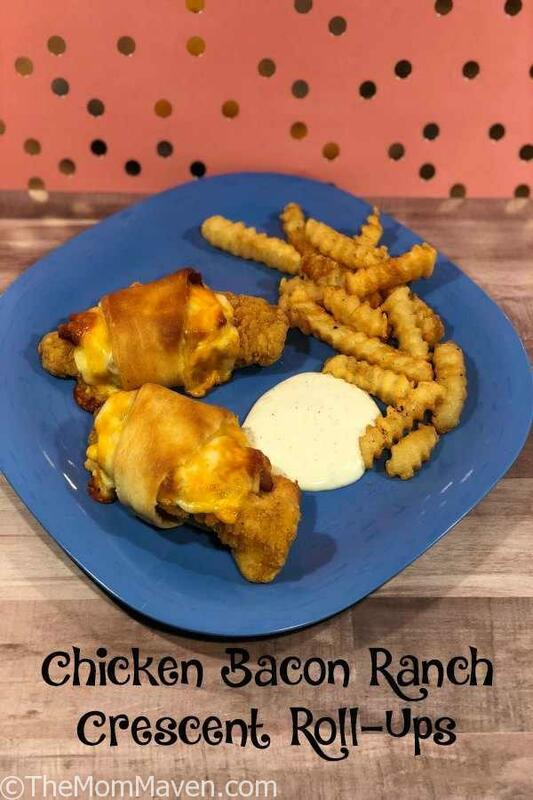 Fold each slice of bacon in half and place on top of each chicken strip. Do the same with each piece of cheese. Roll up each crescent, ending at the tip of the triangle. Place cheese side up on the parchment paper. Bake 17-21 minutes, or until crescent roll is deep golden brown and chicken is heated through. Try to find the long skinny chicken strips, some of mine were too fat. Use whatever cheese you like.